Hibiya just got itself a new gem. 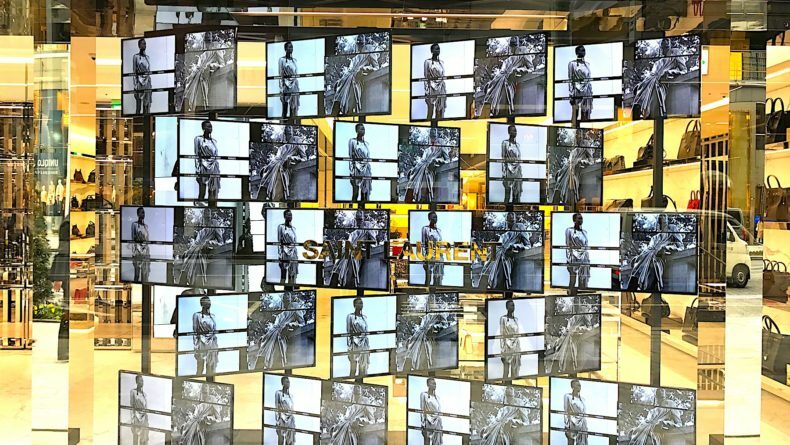 It’s been two months since Tokyo Midtown Hibiya, the latest of the capital’s stylish shopping complexes, opened its doors in late March. 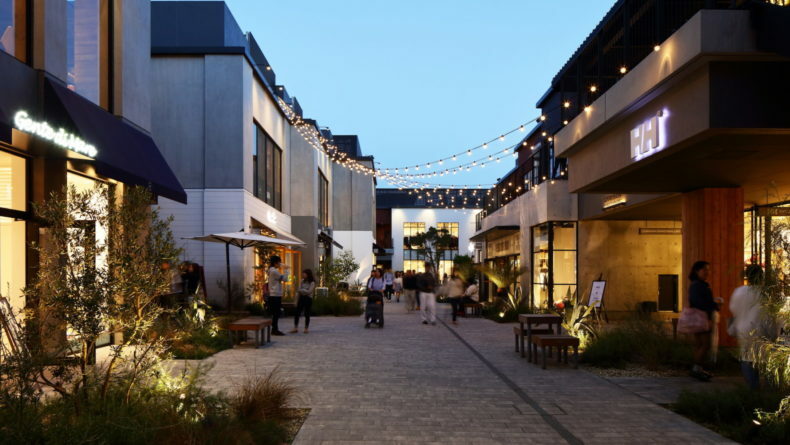 With more than 60 commercial tenants ranging from luxury fashion retailers and lifestyle brands to stationery shops, a massive cinema and, of course, a fantastic selection of cafés and restaurants to drop by pre- or post-shopping, this new hangout destination certainly adds a new kind of excitement to the city. Tokyo Hibiya Midtown is huge — it has a total floor area of nearly 190,000 square meters and an atrium that rises from the first to the third floor, giving an impressive welcome that definitely leaves you in an awe for a moment. Built and produced by Mitsui Fudosan, one of Tokyo’s largest development empires, Hibiya Midtown combines nature with modernity and creativity with culture — not to mention all the great food stop-bys you’ll find there! 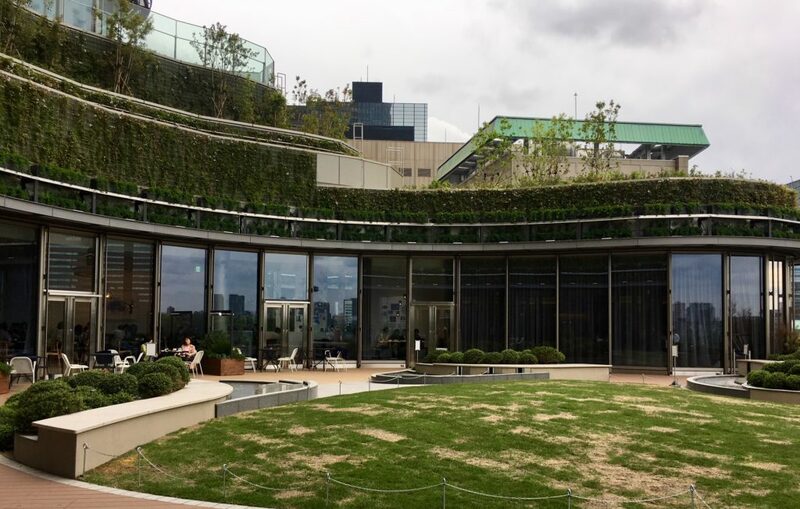 Hibiya Midtown has multiple green spaces, including a rooftop garden, where you can relax with a cup of coffee and even stop by for a quick 0bento break. The complex extends across a total of 39 storeys, of which seven are commercial and open to the public. The first four floors (B1 to 3F) are occupied by cafés, restaurants and shops; the fourth and fifth floor is where you can find the massive cinema complex, while the sixth floor hosts higher-end restaurants, a rooftop terrace and an innovative event place. The rest of the complex is dedicated to offices, conference rooms and other private facilities. 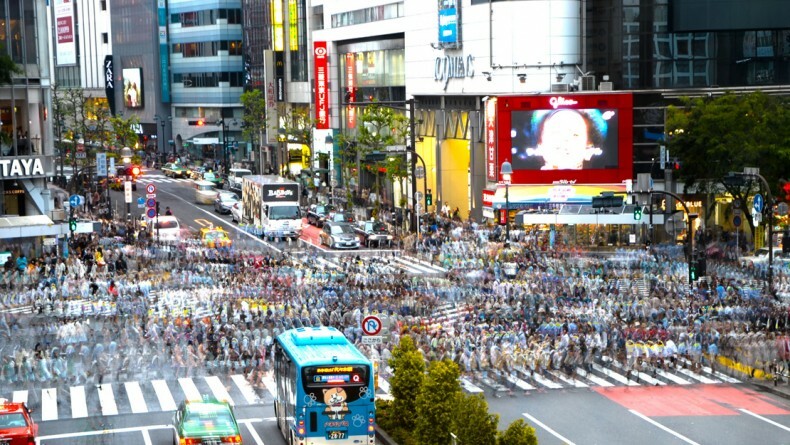 Located right across Hibiya Park and just a stone’s throw from the Imperial Palace, Hibiya Midtown can be accessed directly from Hibiya station, giving shoppers and entertainment-seekers the assurance that they won’t be getting soaking wet in the upcoming tsuyu (rainy) season — or the windy typhoon summer. 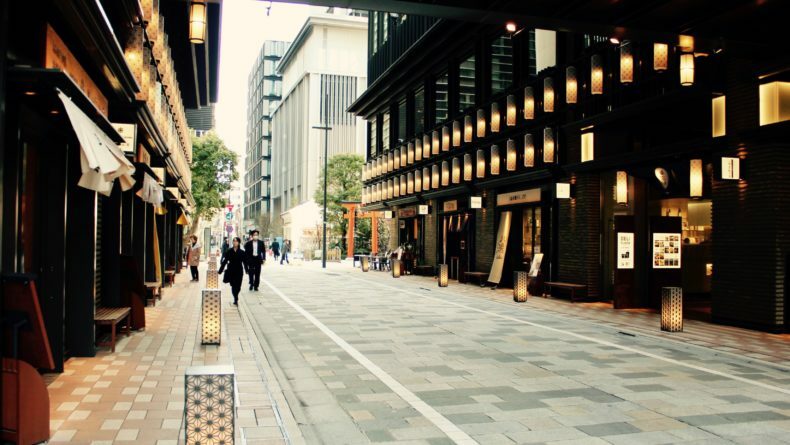 Hibiya Midtown’s basement floor is an underground arcade of some small shops, casual cafés and a few bars. 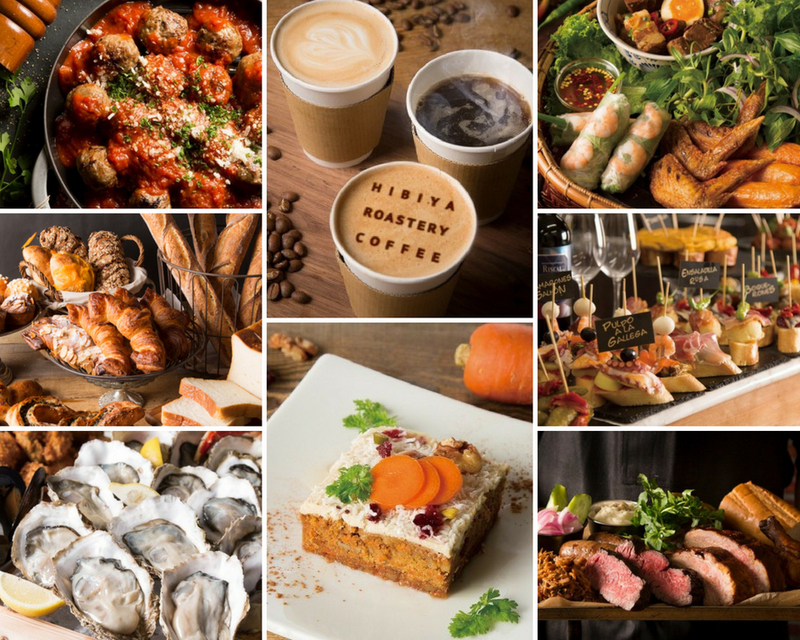 Hibiya Food Hall, a spacious food area, is also on the B1 floor and features eight fabulous eateries including an oyster bar, NY grill, a French bakery and the popular among vegetarians restaurant, Mr. Farmer. The complex’ Hibiya Food Hall features eight eateries, from Vietnamese to tapas to oysters and a restaurant with a vegetarian menu. Going up to the ground floor, on the right side of the main entrance to this large dining space is Tokyo’s first branch of Buvette, a popular New York small home-cooking style Gallic bistro established by American chef Jody Williams. The venue is perfect for those looking for some classic brunch bites like waffles or croque monsieur. The eggs are also a winner — served fluffy and seasoned to perfection! To the left of the entrance on the first floor is a Lexus showroom which features their branded café salon as well as a variety store. 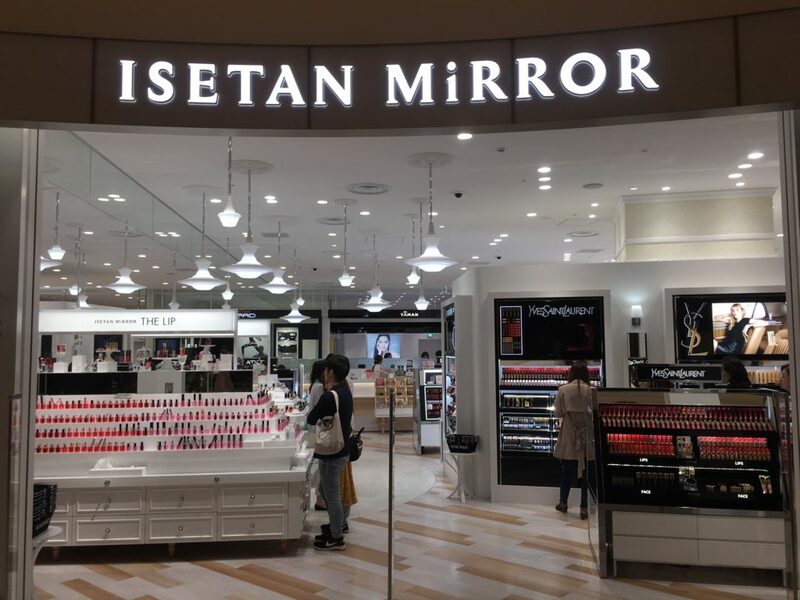 Next of them is Isetan Mirror — a luxury cosmetic shop that is absolutely worth a visit. With the perfect lighting and a fabulous collection of all the best cosmetic brands and products, you will, without doubt, find the perfect shade of lipstick for your new summer look or that skin cream that you’ve always been looking for. Also on the first floor and surrounding the complex’ gorgeous atrium, are several fashion and apparel shops, including Pellico, an Italian shoe shop selling pumps that are increasingly becoming popular amongst business women in Tokyo for their comfort and not-too-high heels. Going up to the second floor, you’ll find a number of other small shops and popular fashion brands, including The North Face, A.P.C. and the organic fabric specialized store Tenerita, the perfect place to buy high-end towels, bathrobes, pajamas, room wear and other organic products for children and adults. Japanese cosmetic brand Three is also on the third floor, along with a small eatery attached to it. Another fun feature that awaits you at Hibiya Midtown can be found on the third floor. Here, you will find Hibiya Central Market, a spacious area filled with all types of nostalgic goods from Japan’s Showa era. It looks like a small village complete with a bookshop, barber, izakaya pub, optician and an event space. If you have time, stay for a while — you can easily spend a half day just in this section (especially considering that there are also nine restaurants on the same floor). If you have visiting family or friends, this is also a great spot to take them to experience the good old Japan and buy some souvenirs. The fourth and fifth floors are dedicated to the impressive 13-screen cinema complex Toho Cinemas Hibiya and if you continue even further up, you will find yourself on a wonderful outdoor patio overlooking Hibiya Park. This space gets comfortably full on weekdays when all the hard working people descent from the office floors for a quick obento break. 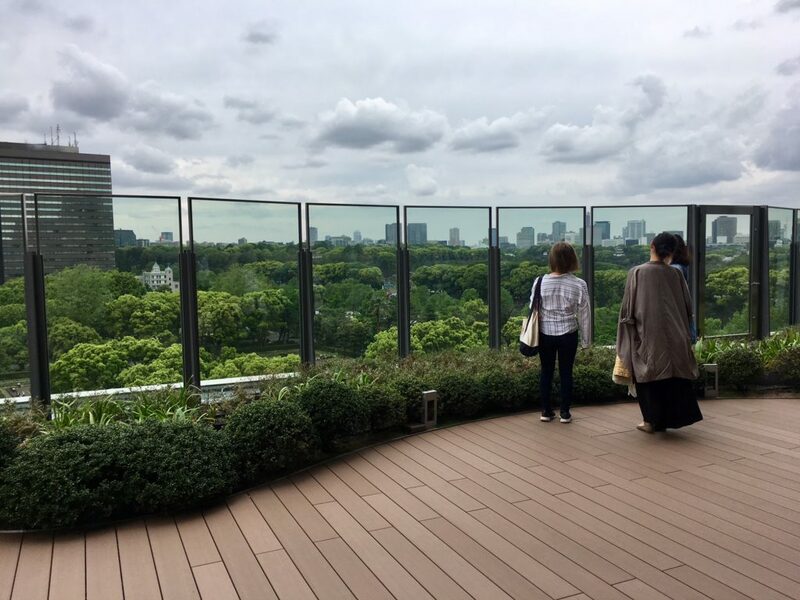 Out in the wild: Hibiya Midtown’s rooftop garden offers a pleasant view of Hibiya Park and the city. 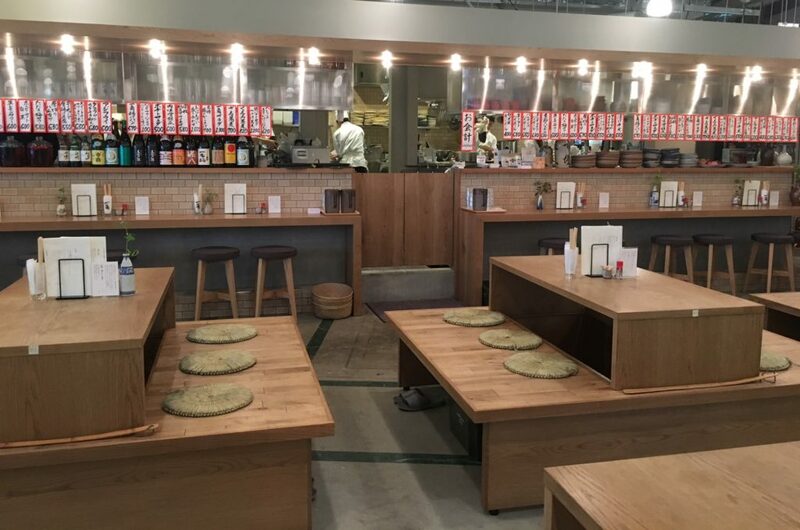 One of the things that I found interesting about Hibiya Midtown is that, unlike most recently opened shopping complexes in town, it features more restaurants than apparel shops. Each floor seems to be divided into two — a place to eat and relax, and a place to shop. Overall, the vibe is nice and modern and though things aren’t very cheap here, a visit is recommended. Whether a day of shopping, a relaxing gourmet lunch with friends, enjoying the latest film, or just simply sipping on some coffee or tea overlooking Tokyo’s green spaces, Hibiya Midtown is indeed, a lovely new spot.